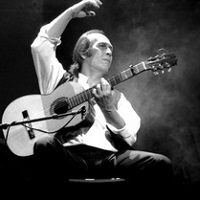 Marcos Vinicius, one of the youngest and most well known of Brasilian contemporary guitarists, began his concert career at the age of fourteen and from that moment has obtained enormous success and acclaim from the public and critics and has played in the most important cultural centres of Brasil and Europe. He has performed concerts in many countries such as Italy and Austria. In Poland he represented Brasil in the International Guitar Festival. He has also founded and directed the only Brasilian classical guitar magazine "Violao America" and created and directed the "Belo Horizonte Guitar Ensemble, "the most famous guitar group in Brasil". President of the Classical Guitar Academy of Milan. "Dedicatoria" by Marcos Vinicius will have you spell-bound. Follow on a journey through time and space with Rodrigo, Granados, Annes, Tesar, Gnatalli - ballet, ballad, waltz... interwoven with the thread of dedication. Sharon Wayne San Francisco guitarist Sharon Wayne has delighted audiences throughout the United States and Japan. A highly accomplished young artist, Sharon Wayne was the First Prize winner of the 1991 American String Teachers Association Solo Guitar Competition in California. Evangelos Boudounis, born in Athens, studied classical guitar with Dimitris Fampas at the National Conservatory, then with Jose Tomas in Spain. After winning first prize in a competition of Andres Segovia, he studied with Segovia in Granada and Madrid. Maro Razi, born in Athens, studied classical guitar with Evangelos Assimakopoulos at the National Conservatory. She continued her studies in the "Ecole Normale de Musique" in Paris with professor Alberto Ponce. She has given recitals in Athens and in several other Greek cities as well as France, Cyprus and Spain. She has also played for radio and television on many occasions. Lynn Harting-Ware's dramatic musical flair, beautiful tone, and variety of timbre enable her to transverse musical styles and venues with great success. Her recordings and concerts blend traditional guitar repertory with her own arrangements, such as Bach's and Schumann's. She blends popular styles such as jazz, blues, folk music and new age into her programs. Like Andres Segovia and Julian Bream, her dedication and musicality inspires composers. She has premiered and commissioned numerous compositions. By age 26 Aniello has already won an impressive array of international competitions. The program for his first CD is a mixture of 19th and 20th century music. Dionisio Aguado, Napoleon Coste and Francisco Tarrega are names that are probably not familiar to most listeners but are extremely well known in the guitarists' world, being considered among the most interesting and prolific composers of the 19th century. Leo Brouwer, who studied at the Juilliard School and at the University of Hartford, has performed in every continent in the world and has made over a hundred records. His compositions are considered classics in the guitar's repertoire. Leo has written hundreds of works for other instruments as well, including chamber works, cantatas and orchestral works and over a hundred film scores. Principal conductor of the Cordoba Symphony (Spain), artistic director of the Havana Symphony and member of the International Council of Music, Leo is in constant demand worldwide for his many talents. Victor Pellegrini (Rosario, Argentina 1958) has performed as soloist in every continent of the world participating with many orchestras. Victor lives in Havana where he is Professor of Guitar at the University of Havana. 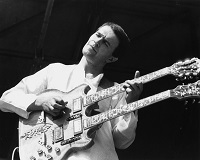 A household name since the early '70s, John McLaughlin was an innovative fusion guitarist when he led the Mahavishnu Orchestra and has continued living up to his reputation as a phenomenal and consistently inquisitive player through the years. A screaming double neck guitar, a mellow acoustical guitar, incense, and dressed in white--these are the trademarks of Mahavishnu John McLaughlin. He is considered by many to be the finest guitar player alive today. His music is spiritually generated from within, creating some of the most powerful or the most serene passages of guitar work in the jazz-rock field today. He has worked with all the great modern jazz people (Davis, Coryell, Corea, etc.) and has formed two small orchestras, attracting the best musicians of their respective fields. Mclaughlin has been so influential that his style is becoming increasingly imitated around the world. Journey to the Amazon Oct 1997 Album: Sharon Isbin, saxophonist Paul Winter and percussionist/composer Thiago de Mello. The three musicians explore South American, particularly Brazilian, rhythms and songs, devising a mesmerizing fusion of worldbeat, jazz and classical. Acoustic Counterpoint (Album) Master classical guitarist Tanenbaum tackles some very intense music written during the 1980s by composers Sir Michael Tippett, Steve Reich, Sir Peter Maxwell Davies, Roberto Sierra, and Taru Takemitsu. The 70-plus minutes of music demonstrate the broad sound spectrum the guitar is capable of expressing. The pieces range in style from the post-Romantic "The Blue Guitar" by Tippett to the minimalist pulsations of "Electric Counterpoint" by Reich in which the soloist pre-records as many as twelve guitars and two electric bass parts and then plays the final 13th guitar part live against the tape. Bach on the Lute This is the first volume in Nigel North's series of transcriptions for lute. The entire 4 volume collection ranks is beautiful. Since Bach only wrote a few works for lute, it is exciting to have the solo violin works transcribed for the instrument. Naftali Lahav Classical guitar soloist and composer. Lahav's guitar compositions are inspired from the Israeli and the middle east essence. As the director of the "Israel Studio for Guitar" Naftali Lahav developed a unique and New Music Education Project. Guitarist, Musicologist and Physicist Vincenzo Pocci was born in Velletri (Rome, Italy), and started to study classical guitar in early 1957. He went on in his regular studies and received his Master degree in Nuclear Physics at the University of Rome in 1969, and became involved in the world of teaching and nuclear research. He is currently a manager of a leading Italian Engineerig Company. Vincenzo Pocci is the author of a catalog of 20th century Guitar Music. He maintains a computerized database of compositions for guitar solo and for all instrumental and vocal ensembles including guitar. This list is periodically updated and published in a volume "Guida al Repertorio della Chitarra nel Novecento"
Scott Morris Classical Guitarist. Scott Morris began playing the guitar at the age of nine. At the age of seventeen he moved to Los Angeles to continue his studies with John Dearman. Mr. Morris received his Bachelor of Music degree at U.S.C., where he studied with William Kanengiser and Scott Tennant, and received his Master of Music degree at Yale University as a student of Benjamin Verdery. Richard Alcoy, guitarist Born on the island of Mindanao in the Southern part of the Philippines, Richard moved to Southern California in 1992. 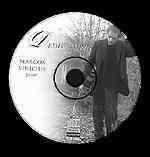 In 1998 Richard released his debut CD "Precious Companions". This CD features classical works ranging from Bach to Hindemith along with Richard's arrangement of a traditional Philippine folk song and the works of Brazilian guitarist Laurindo Almeida. He is currently working on a recording and publication of traditional Philippine music for guitar entitled Four Centuries of Spanish Heritage, Guitar Music of the Philippines and he does transcriptions for Just Jazz Guitar magazine. Richard is completing a book on the music of Chet Atkins, and recording a jazz CD project with the Dave Suverkrup Quartet. Further Classical Guitar Resources: Links to dozens of other sites!